While there are some projects that are great for DIY, it’s not the best idea to work on your NJ roof. A roof is a significant investment and something you want to take great care of to ensure that you get the most value from it in the long term as well as comfort. Here are some top reasons why choosing to hire a professional NJ roofer is the better choice. Keep Costs Down. It might seem counterintuitive that hiring and paying a professional NJ roofer could actually help keep your costs down, they have the knowledge to properly repair roofing. This way, won’t have to pay extra to have someone fix your mistakes if you do it wrong. In addition, they have the proper tools and safety equipment, and often get lower prices on the highest quality materials from manufacturers. Consider Your Safety. 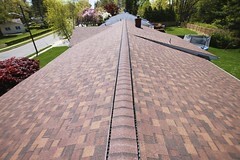 Another reason to hire a professional NJ roofer is for safety. The roof is a notoriously dangerous place, with steep slopes and slippery surfaces high off the ground. One wrong move while up there and you could be seriously injured. A professional NJ roofer has the right safety equipment and experience hauling materials up and down ladders so they can get it done safely and you can avoid injury. Protect Your Home During and After the Project. 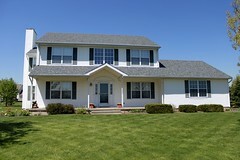 Hiring professional NJ roofers can also help protect your home, which is often your most valuable asset. During a roofing repair project professionals can get the job done quickly to avoid leaving your home exposed for long periods of time. 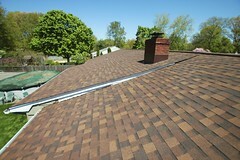 After the project most professional roofers will offer a warranty on materials, labor, or both. This protects your home and your roof investment for several years to come. 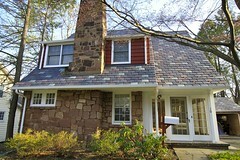 Need a Reliable & Experienced NJ Roofer?